Toronto, March 25: The death toll from Cyclone Idai in the three African countries of Mozambique, Zimbabwe and Malawi has been steadily rising and now stands at above 750 people. Mozambique has been the worst hit with the confirmed death toll at 446, with 259 dead in Zimbabwe and at least 56 dead in Malawi. Sebastian Rhodes Stampa, of the UN Office for the Coordination of Humanitarian Affairs (OCHA), said the humanitarian situation was gradually improving but describes the devastation as “extraordinary”, not only because of the cyclone and flooding but because the land had already had been saturated by earlier rains. The remote locations of some of the areas hit by the tropical storm meant aid has been slow in coming which has led people to begin digging through rubble with their hands to search for loved ones, while government and aid agencies have been flying in help. The scale of devastation has meant that already over one lakh people have moved in to temporary shelter camps set up by aid agencies. 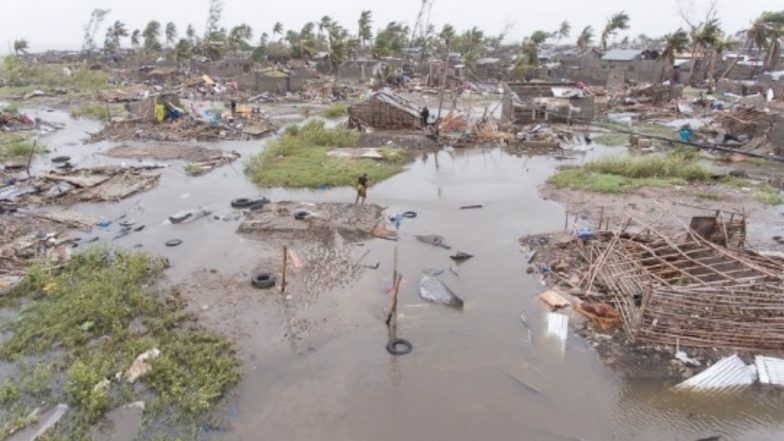 Mozambique’s environment minister Celso Correia said the number of people impacted by Cyclone Idai is over one million in the country’s four provinces. Cyclone Idai is being called the worst storm to hit Southern Africa in living history leaving destruction in its wake in the three countries. Meanwhile, people in Mozambique are not out of the woods just yet as heavy rainfall has followed in the wake of Idai. The United Nations' humanitarian office warned that more flooding is certain as heavy rains have inundated the low-lying Beira area and nearby dams filled up threatening to burst the Buzi and Pungwe rivers. India has sent three ships to aid in rescue and search efforts in Mozambique after receiving a request from help from the government. The Indian Naval ships, INS Sujata, ICGS Sarathi and INS Shardul, are undertaking Humanitarian Assistance Disaster Relief in coordination with local authorities and the High Commission of India, Maputo. "As of now, the Indian naval crew has rescued more than 192 people. Medical assistance has been provided to 1,381 persons in medical camps set up by the Indian Navy," the statement said.